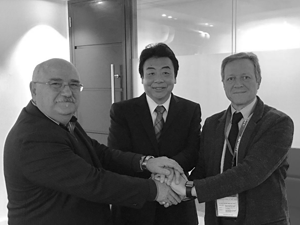 Leading life safety system manufacturer, Hochiki Europe (UK) Limited, has strengthened its position in the Italian market by acquiring fire and security product distributor, Device and Electronic Systems (DES srl). Located in the historic city of Verona, DES srl is a distributor of life safety solutions across Italy, with many customers situated in the north of the country. This acquisition allows Hochiki Europe to expand the DES distribution channels and further increase its business within the Italian market. As part of the acquisition, the current DES team will be retained, operating from its Verona headquarters and they will continue to service their existing customers as usual. Hochiki Europe will be looking to enlarge the team and expanding the company's operation capabilities to support ambitious growth plans and an expected increase in customer demand. As part of these plans, effective from 1st April 2017, DES srl will officially start trading as Hochiki Italia. The launch of Hochiki Italia, comes as part of Hochiki Corporation's wider growth strategy, VISION 2017, in which Europe is named as one of the most important global markets in terms of business expansion.